Study the packaging for perfumed products seen below. 1. Explain why high quality card is needed to manufacture the box. High quality card will ensure that the colours printed on its surface, will appear bright and sharp. Quality card has a superior feel when handled by potential customers, suggesting that there is a quality product inside the packaging. 2. Name a material that is suitable for the polymer insert of the mobile phone packaging. 3. Why is the material you have named, the most suitable? 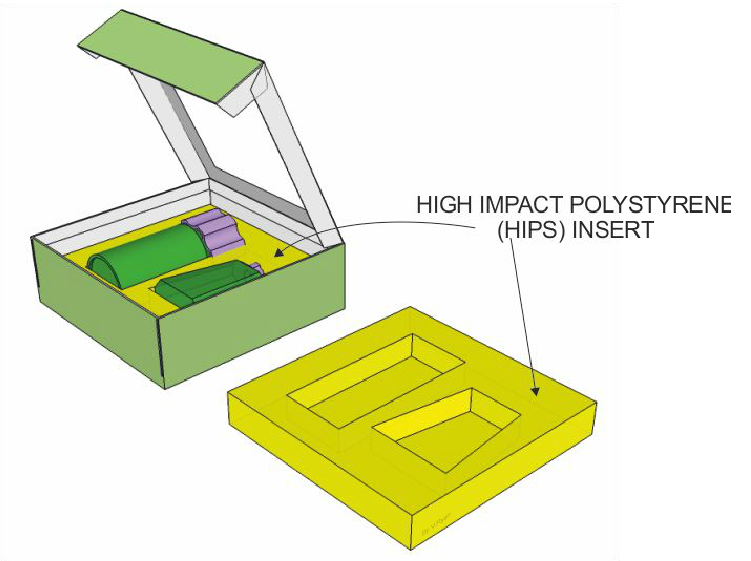 High Impact Polystyrene (HIPS) is the most suitable as it is available in transparent form and can be moulded accurately, to the shape of the insert. Vacuum forming is the manufacturing process through which the shape can be manufactured. HIPS can be recycled relatively easily, if disposed of in the relevant recycling bin. HIPS has a short life cycle. 4. List other polymers that could be used for the polymer insert. Plastic forming films such as polyvinyl chloride (PVC), polypropylene (PP) and polyester (PET) are formed through the use of heat, and are usually colourless and transparent.